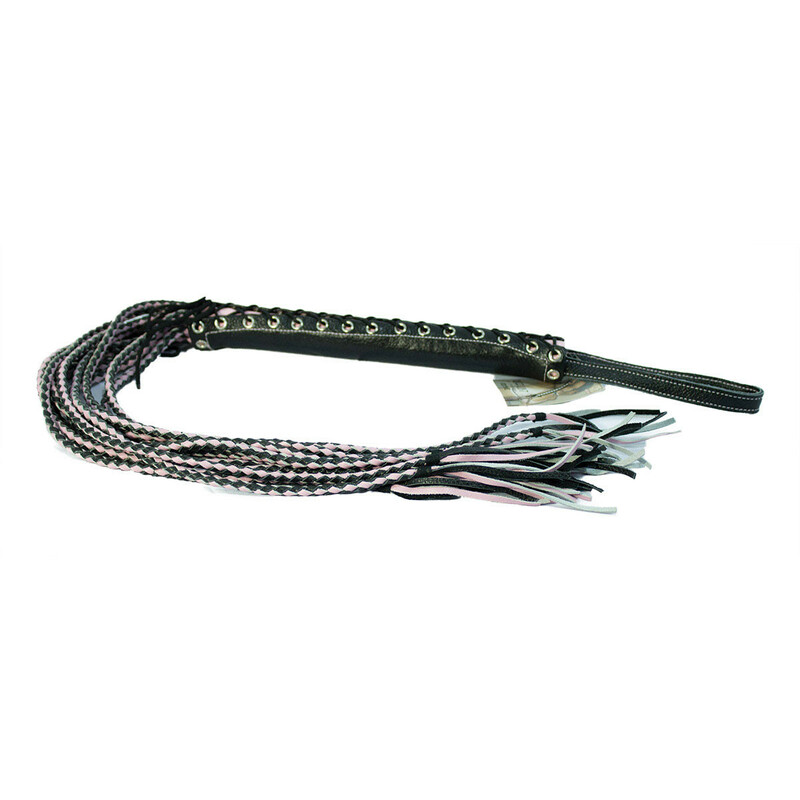 This flogger is the sexiest thing we've ever seen! The grey 11" sturdy handle is wrapped and laced up in its own white leather corset. 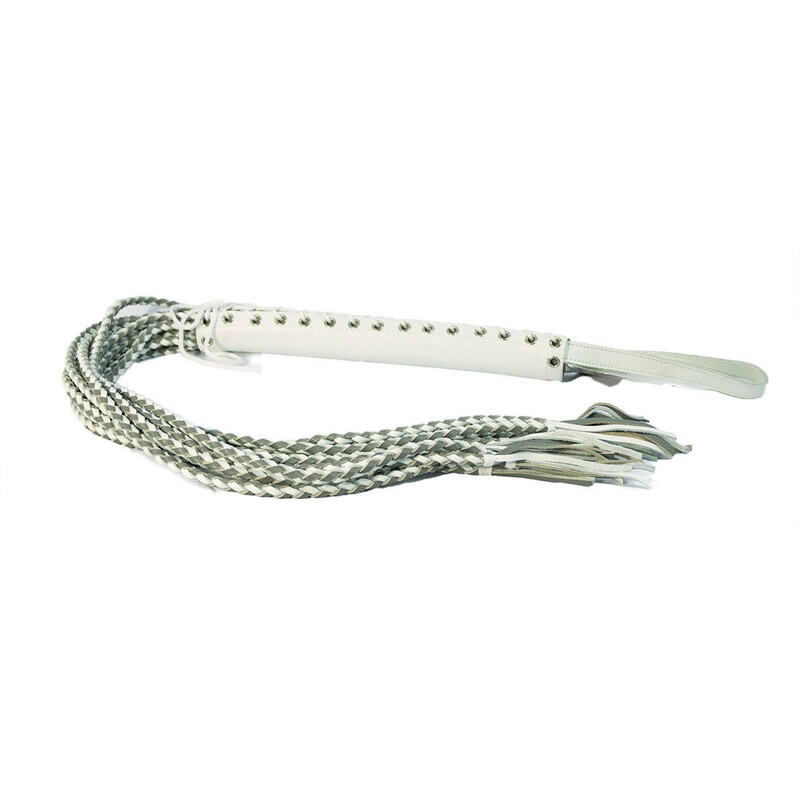 Each 20"+ flange is braided with soft grey and white leather strips and tied off at the end. Strong 12" long wrist loop on the end. Excellent detail work!